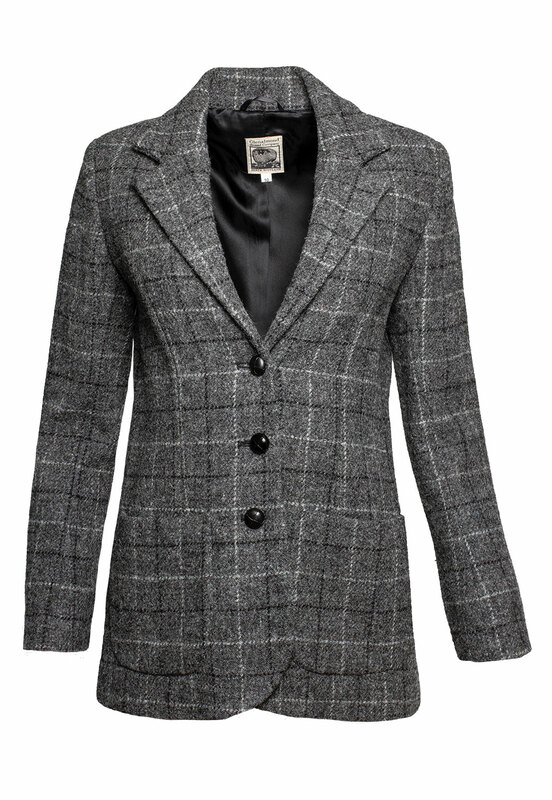 A slim semi-fitted ladies blazer in a smart Harris Tweed check. The blazer has patch pockets and no back vent. 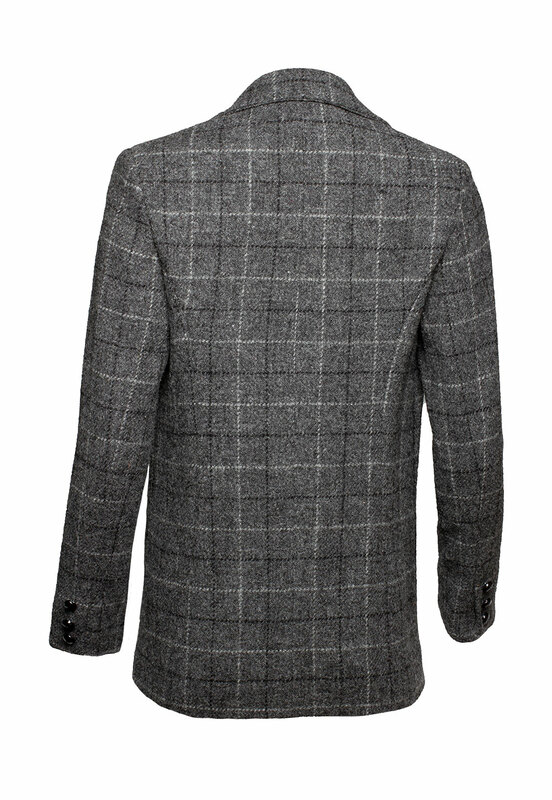 The pattern of grey, black and white checks and black leather buttons add a distinctive touch of urban chic to this hand-woven Harris Tweed jacket.